Wear occurs everywhere and all the time. And though friction is a very simple problem, it is still one of the least understood and most complex areas in mechanics, Assistant Professor Aghababaei says. Photo: Lars Kruse. Leonardo da Vinci was probably the first to study friction and wear. Despite the passage of more than five centuries, our understanding of these phenomena still remains empirical and is therefore very limited. Now, a group of researchers is trying to further understand the origins of friction and wear at different scales, ranging from atomic to macroscopic. Friction and wear are probably not topics you would dwell on for too long, except maybe when the time comes to change the tyres on your car, but for many industries, they are indeed of great interest. Nowadays, friction and wear are part of a wider branch of the science of interacting surfaces in relative motion, referred to as “tribology”. “Friction and wear occur everywhere – all around us we have contacting surfaces in relative motion. From an industrial viewpoint, friction and wear are a waste of energy and material. Friction transfers mechanical work into wasted heat and, as a direct result, wear causes material degradation and eventual failure of mechanical parts. Tool wear for instance is one of the biggest challenges for metal and composite manufacturers, and for decades industry has strived to reduce wear in order to optimise production,” Assistant Professor Ramin Aghababaei explains. Up to now, our knowledge about material wear has been empirical and derived from trial and error. Now, along with a team of researchers, Ramin Aghababaei is trying to bring a more fundamental understanding into the field in order to predict how surfaces of materials react and eventually degrade in relative motion. Before becoming head of the Surface Mechanics group, Assistant Professor Aghababaei was the leading scientist in a group at EPFL, the Federal Institute of Technology in Switzerland, who was the first to reproduce the material detachment mechanism using computer simulations. These breakthrough studies, which are published in Nature Communications and PNAS journals, laid the groundwork for a new field of study in the broader science of tribology. Now, at the Department of Engineering at Aarhus University, the Surface Mechanics group is designing systematic sets of experimental and computational setups to further understand the microscopic origins of friction and wear at various scales. “There is a big gap between the science of adhesive wear and its application in industry, so we’ll be trying to fill this gap as much as we can over the coming years. 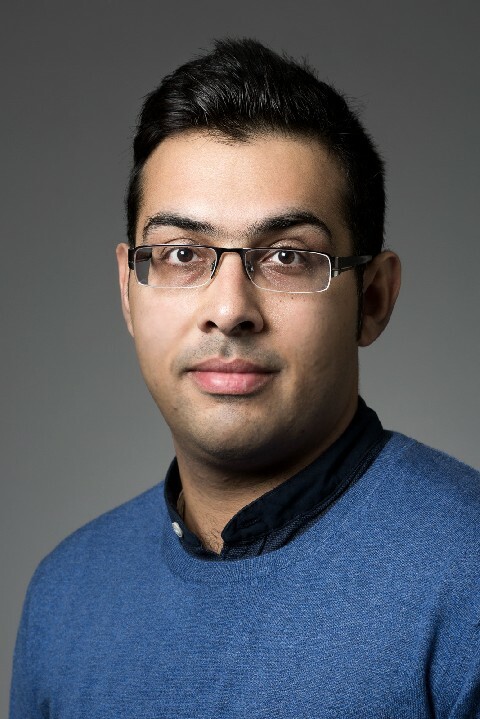 The dream is to develop a simple and predictive model to predict friction and wear between surfaces under different working conditions,” Ramin Aghababaei says.